1) Films about food and why the food movement is unstoppable. 2) GMO potato is dangerous and should be withdrawn, says the scientist who created it. 3) Australia postpones deregulating new GM and why is the US military creating extinction technologies? 4) The Monsanto Files: Roundup - is it in your hair? and how to get it out of your Council. 5) Thank you and goodbye. 1) Films about food and why the food movement is unstoppable! In Sydney Dr Latham discussed the research that brought him to Australia. Supertoxins in GM crops pokes holes in membranes. What is it doing to us when we eat it? Alexx shows how to help you and your family make changes in what you buy and eat. Mandy helps unravel why kids refuse to eat and how to help them. Marcea Klein - Lifelong solutions for women. A radio interview conducted by TRTfm radio station. Adrian Glamorgan speaks to Dr Jonathan R Latham, Director of the Poison Papers, about what this database of once-buried documents means for citizens, the scientific community and the environment. Show #113: Jonathan Latham on understanding genetics, GMOs, round up and the food movementlind texts. Charles Massy farmer and author of Call of the Reed Warbler, Tammi Jonas of Jonai Farms and President of Australia Food Sovereignty Alliance and Dr Jonathan Latham discuss why the food movement is unstoppable! Many thanks to everyone who helped make this tour a great success! Caius Rommens, the scientist who created the GMO potato says they are dangerous. I believe that it is important for people to understand how little genetic engineers know, how biased they are, and how wrong they can be. The GM potatoes are sold under the names of Innate, White Russet and Hibernate. They are not currently grown in Australia but were developed and owned by J.S. Simplot. The brands owned by J. S Simplot are Birds Eye, Leggo’s, Edgell, Lean Cuisine, Harvest, Chiko, I&J, Five Tastes and Simply Great Meals. Ask Simplot if they contain imported GM potatoes. Article by Caius Rommens Hidden Health Dangers: A Former Agbiotech Insider wants his GMO crops pulled. Simplot has attacked Dr Caius Rommens. Dr Rommens has responded they have not addressed the scientific and technical issues he raises. MADGE's article on GM potatoes One meal of hot chips may alter your genes. Thanks to everyone who took action to ask the politicians to regulate these new GM techniques. Please keep up the pressure as the decision will be revisited soon. The thinking behind the technologies is very disturbing. New GM animals (gene edited, CRISPR etc) will be produced to tolerate unbearably overcrowded and insanitary conditions. It would be better to support farmers pasture their livestock. Beekeepers are concerned that GM bees are being developed. The US military (DARPA) are funding work on GM insects to infect crops with viruses to protect them. They are also funding the GM extinction technology of gene drives. Over 200 global food movement leaders and organisations have rejected this deranged technology. We know the answers to many of our problems lie in repairing the soil and our communities, not in uncontrollable and undemocratic genetic interference. 4) The Monsanto Files: Roundup - is it in your hair? How to get it out of your Council. 4 Corners exposed ‘The Monsanto Files’. As a result of this programme there is a Senate Inquiry into the independence of the decisions made by our pesticide regulator (APVMA). Submissions are due by 14 November. Glyphosate (Roundup) and its breakdown products have been found in human hair. Dogs have levels 50% higher than humans. It seems this weedkiller builds up in our bodies. This short film suggests this has been known for a long time. Moms Across America have listed how to get food, water and hair tested for glyphosate. Note this is an American site. The Weeds Network advocates biodiversity, ecological restoration, education and training. The Canadian Association of Physicians for the Environment (CAPE) has released a new report which refutes the myth that municipalities need to use toxic pesticides in parks and green spaces. UN experts have debunked the claim that pesticides are necessary to feed the world. Pesticide Action Network Europe have compiled alternatives to pesticides in weed management. If we want pesticide free lives we need to ensure that farmers, councils and others can transition out of their use. Research and help will be needed but the costs will be covered by the benefits in health for us, our kids and the future. In an update on the Monsanto case, the judge has upheld the verdict but cut the award to $78 million. Monsanto/Bayer originally wanted the judge to overturn the verdict which would have been unprecedented. After 11 years MADGE is closing. We thank all of you for being part of us: whether reading the digest, talking about food and farming, coming to events, serving on the committee, researching, contacting politicians, writing submissions, questioning companies, joining community gardens, buying or selling at farmers’ markets, or anything else. We think that the food movement is the best way to address many of the challenges we face, individually, as a society and as a global population. We will be maintaining the MADGE website as a resource for you. 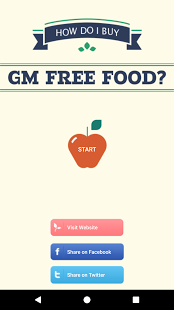 It has many articles, digests, how to shop GM free app. Since there will undoubtedly be many new inventions and ideas you may find it useful to ask the following questions of them. Who controls it? Who profits from it? Who is promoting it? Who will pay if it goes wrong? Who and what does it displace? Why is it being created/used? Can we choose to refuse? Is it ethical? Does it tell the ecological truth? Is it delightful, delicious, diverse and democratic? If the answer to the last question is no, I suggest we say no too. What you think, say and do matters immensely.